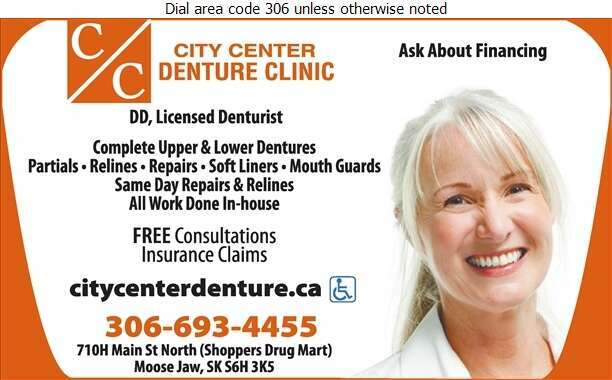 At City Center Denture Clinic we are trained professionals with years of experience in providing our patients in Moose Jaw with the highest quality denture care. Our goal is to ensure the products designed for you fit your needs comfortably while maintaining oral health. We offer our clients a wide range of denturist services from upper and lower dentures to partials and relines. We will take the time to understand your needs and concerns and answer any questions you may have. We are here to help. We are always accepting new patients, and the consultations are always free.